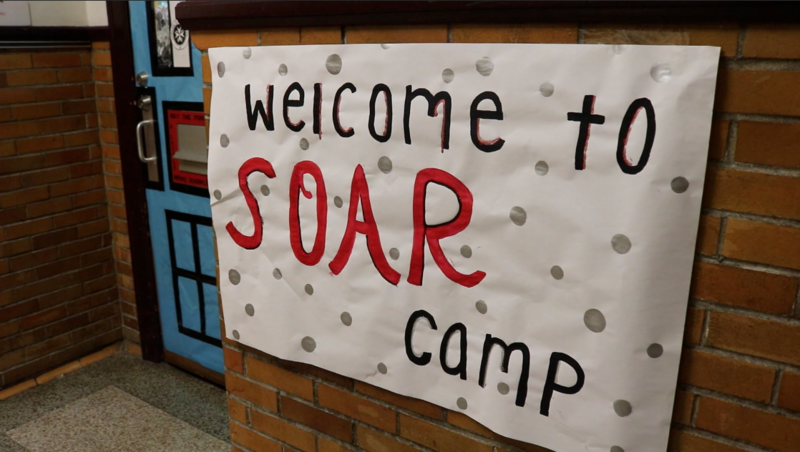 Even with school out for summer, the halls of Ludlow High School were flooded with students of 7th, 8th, and 9th grade attending Ludlow Independent School’s SOAR summer program. Through four weeks in June, these 40 kids gained life skills and knowledge to help them as they navigate their educational and future career paths. 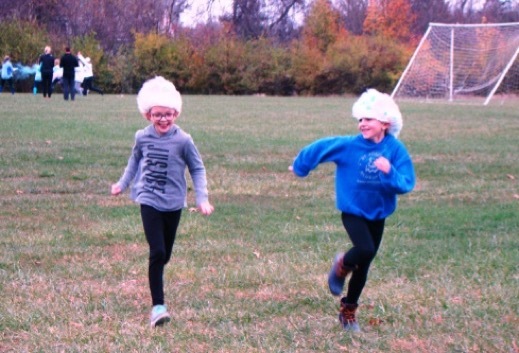 SOAR is a program at Ludlow Independent Schools that is funded by a 21st Century Grant. 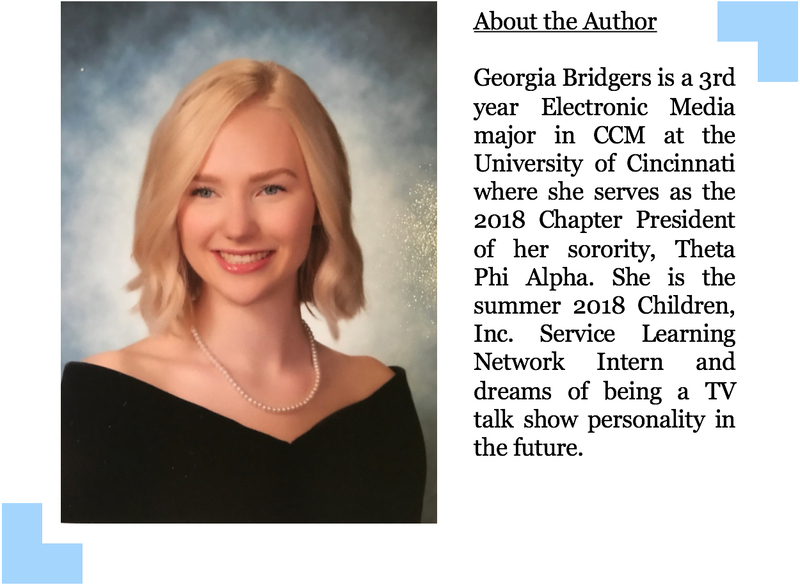 NaviGo Coach and SOAR Director Melanie Beccaccio works with students during the school year as well as in the summer months to encourage students’ exploration in different career opportunities. With an obvious focus on progressive academics, each of the summer program’s four weeks contained a different theme. 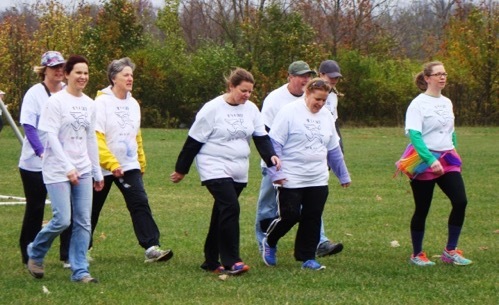 Week One they hit the ground running with the theme “Survivor.” Including survival skills, team work, and physical fitness. Entering Week Two, the students focused on technology with “How It Works,” visiting GE and Toyota to get hands on experience with automation engineering. Week Three students experimented with the arts as “Photography” was the theme. The campers received training from a professional photographer and thereafter took pictures at the Cincinnati Zoo. The kids then had a photo editing session where they designed personal photo books in Shutterfly that they all will be receiving in the near future. 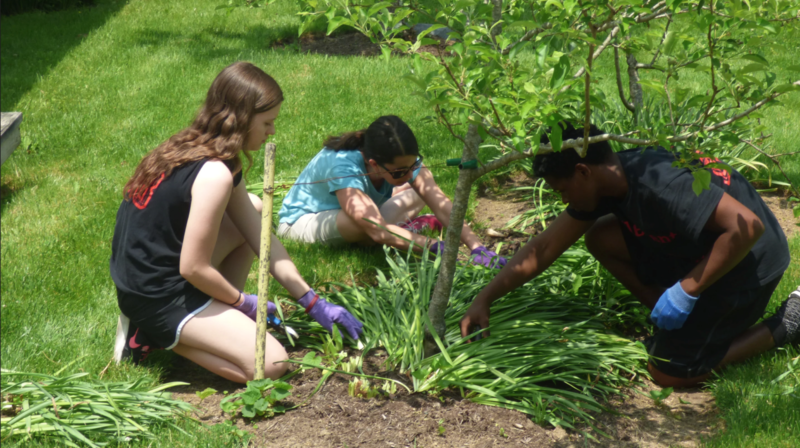 Finally in the last week, the SOAR campers focused on Service Learning. 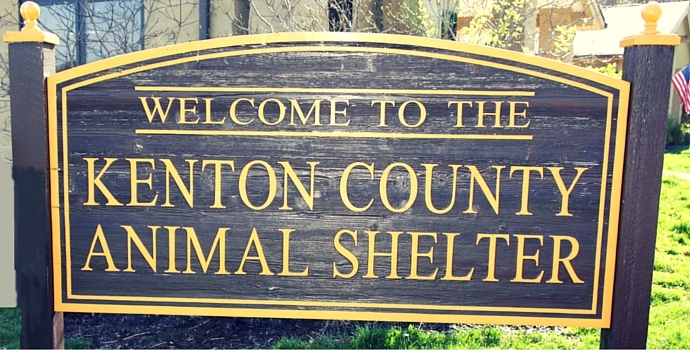 With their service work, the animals and staff members at Kenton County Animal Shelter reaped the benefits. 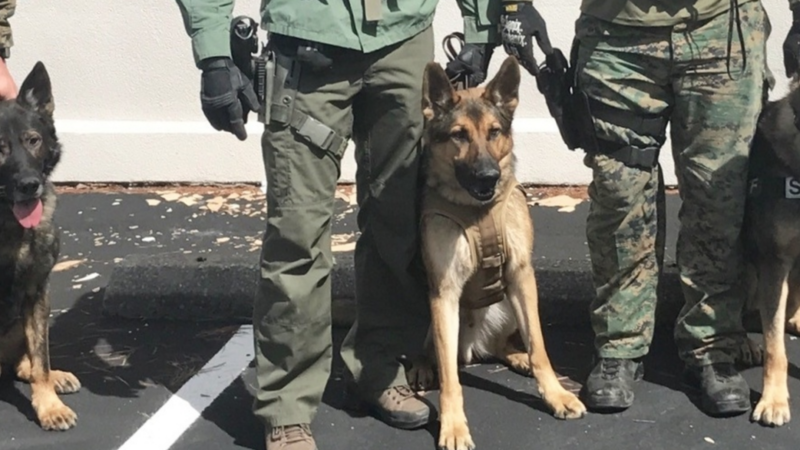 In this final week, the 7th, 8th, and 9th graders attended three presentations- one was from dog trainer Mike Dixon from Tri-State Canine Obedience, the second from Lieutenant Bart Beck with his dog, Oakley (a Kenton County Animal Shelter rescue), from the Ludlow Police Department’s K9 unit, and the final from entrepreneur Allie Klegg, who started Allie’s Walkabout, a jack of all trades dog care facility, in Crescent Springs. Thereafter, the students delivered their own presentation for family and friends at a picnic luncheon they prepared. 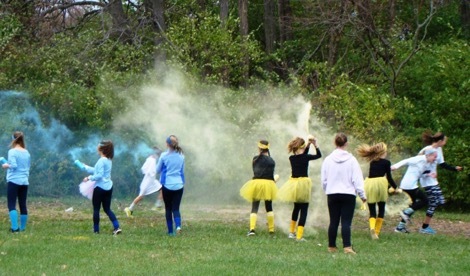 In theme with service learning, the students also ran a two-day fundraising campaign where they generated $692 in donations from Ludlow businesses. Some of the money donated was used to purchase items from the animal shelter’s wish list. The remainder will be used to support future service learning projects. 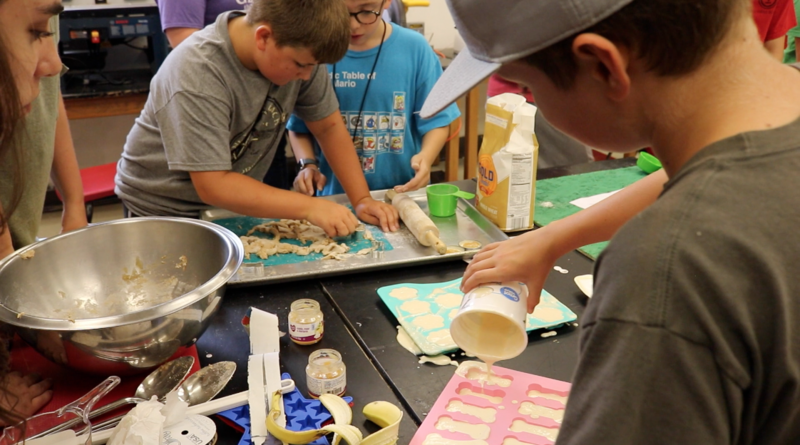 In addition, the students made homemade dog and cat treats, dog toys, and pet beds made from PVC pipes and sturdy material that can hold even the largest of the shelter’s dogs. On Thursday, students visited the Animal Shelter to deliver the gifts, and got to spend time with some of the shelter’s ready-to-adopt pets. June, 2018 marks the third complete SOAR summer program where students are now off with a greater sense of being and knowledge in their lives. They are also able to participate in SOAR’s after school program starting in the fall. 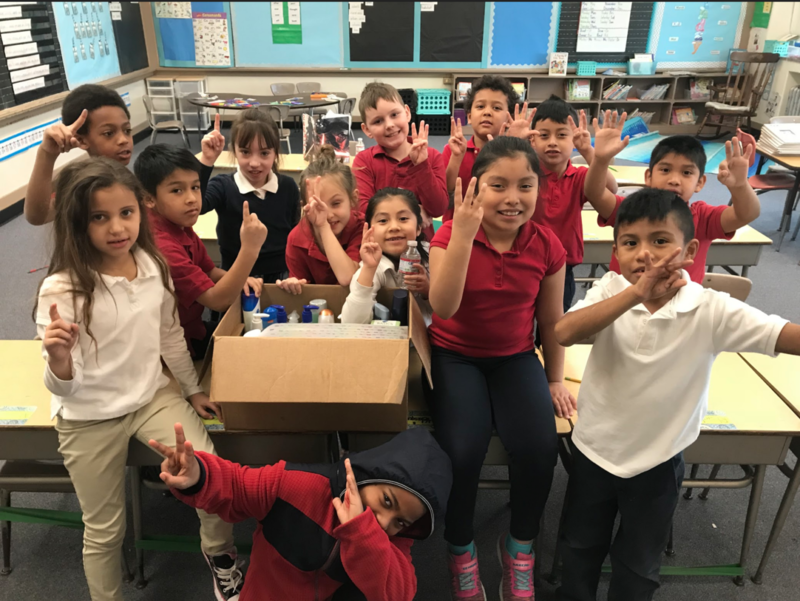 In the name of service learning, the second graders at St. Clement School worked together to create a soap and other personal hygiene items drive to donate to St. Vincent de Paul. 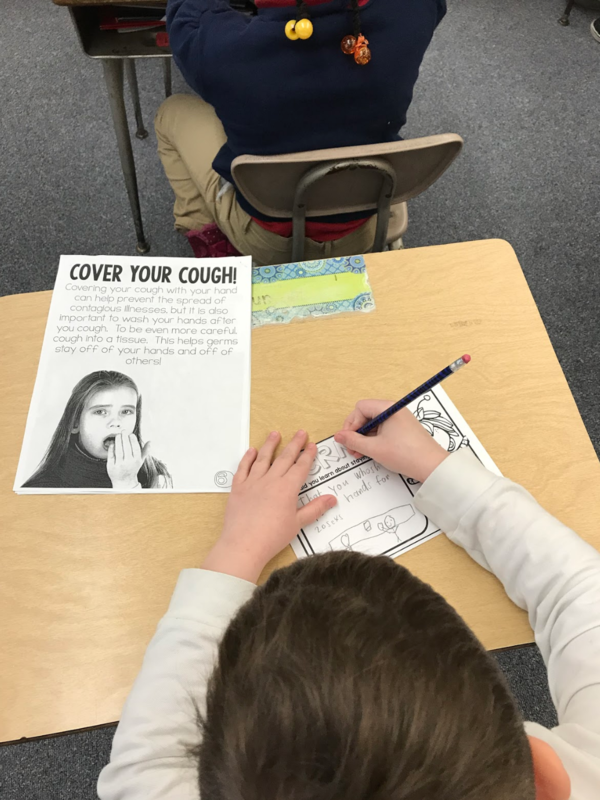 In accordance with the GCS (Graded Course of Study) for the Archdiocese of Cincinnati, the students were already learning under a personal health and wellness curriculum that have taught them to practice appropriate hygiene habits and behaviors that prevent infectious diseases. Students also learned that hygiene related illnesses are the leading cause of death for kids around the world. 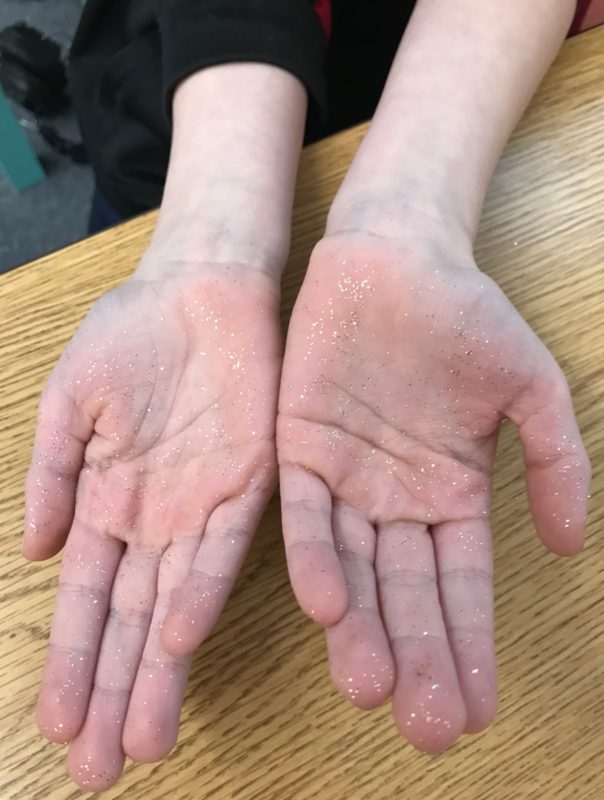 They continued to learn about how germs are spread through improper hygiene habits, and learned proper hygiene habits, with a focus on hand washing. 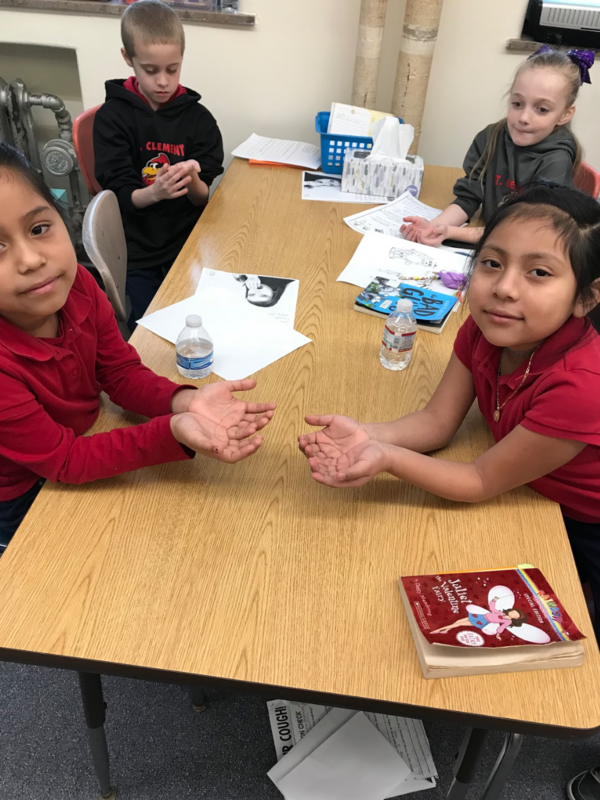 Students learned about cultures where poverty prevents families from being able to practice hygiene that prevents the spread of germs, a large reason they came up with the idea for a personal hygiene drive. 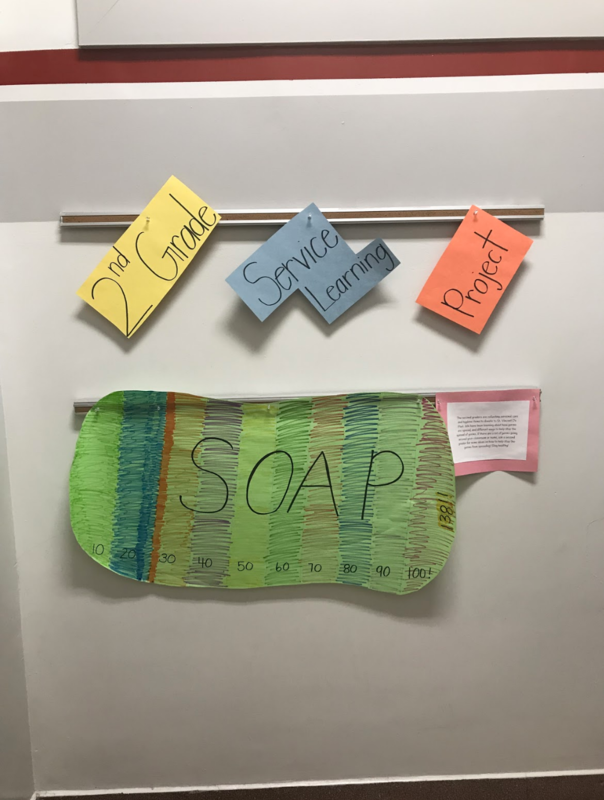 The students learned the importance of hygiene, especially proper hand washing, and they greatly impacted the community by donating soap and other hygiene items to people in need. The students took part in hands-on-activities pertaining to the spread of germs and how proper hand washing can stop this. Also, students worked together to come up with a letter to send home to parents to inform them on what they learned and the importance of hygiene products as well as urging them to collect and send in items for their drive. To round out all their work, the students made signs for the bathrooms at school to remind/inform students on tips for proper hand washing technique. In total, they donated 138 personal hygiene items to St. Vincent de Paul and gained a lifetime experience. 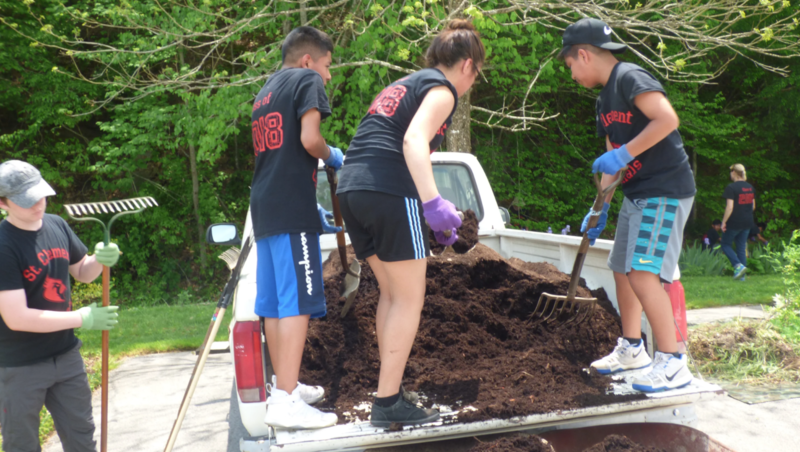 Rooted in a unique spin from their AP English class, students at Randall K. Cooper High School experienced service learning in a new light. The students chose two literary works they studied in high school that have same social injustice issue prevalent. Thereafter spinning it into a service opportunity. 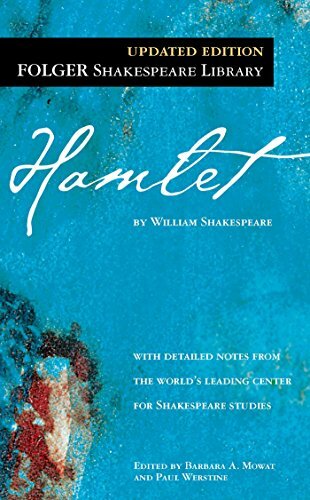 One of the works must have been one they read during their time in AP English Literature class this year. Students worked to bring about awareness to their chosen injustice through partnerships with community organizations. Other than the mentioned guideline, students independently lead their respective projects. In total, there were eight different social injustice projects in collaboration with Redwood School, Women’s Crisis Center, NKY Hates Heroin, Boone County Animal Shelter, and Stephens Elementary. One group used Hamlet and Of Mice and Men as driving factors in their service learning project. This is because in Hamlet, Ophelia becomes mentally ill after her father passes away, and in Of Mice and Men, Lennie Small has a mental disability as well. From those two books, they decided to draw awareness to the social injustices regarding people with disabilities, both mental and physical. The group wanted to break down the boundaries between “normal” people and those with differences. Their group believed that people with disabilities deserve to grow and thrive throughout their lives just as they’ve had the opportunity. They worked closely with Redwood School, a place that guides children and adults with severe and multiple disabilities to achieve independence and reach their highest potential throughout their lives, by providing enriching educational, therapeutic, and vocational services, and created life changing partnerships. Another group chose to address the issue of the working poor. 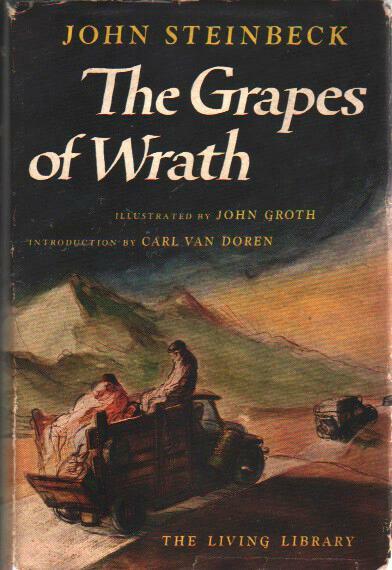 They used the themes of financial struggle and social separations prevalent in Grapes of Wrath and Of Mice and Men to inspire their service learning project. 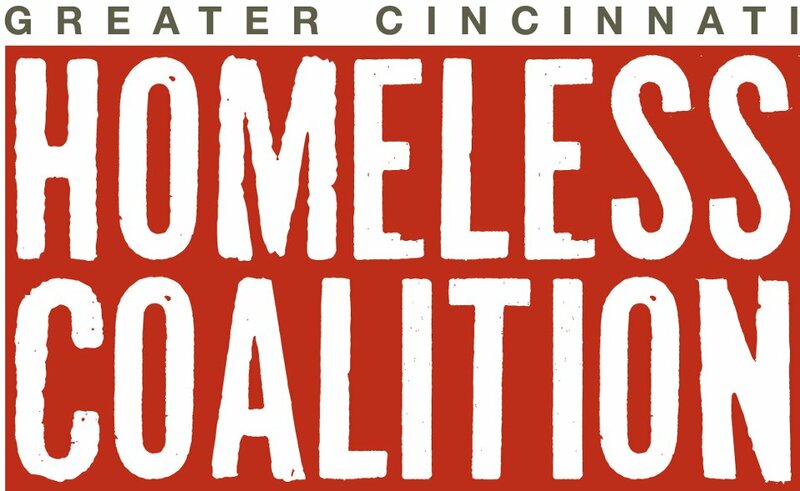 The students worked with the Cincinnati Coalition for the Homeless to learn more about this issue; an organization that advocates for affordable housing and protects the dignity of the homeless and working poor, as well as exposes the subtle ways higher ups attempt to oppress them. 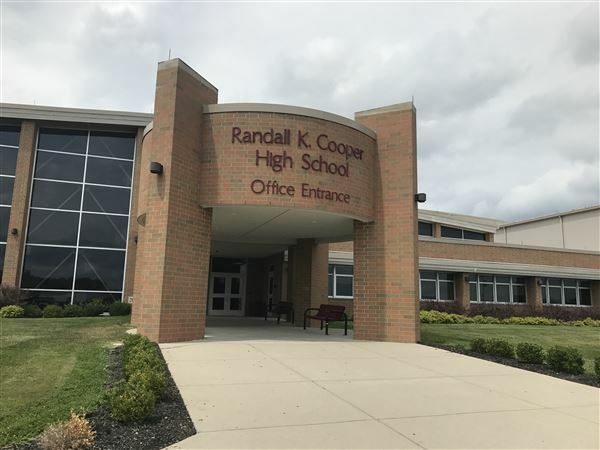 The students of Randall K. Cooper were very impacted by their experiences in service learning. 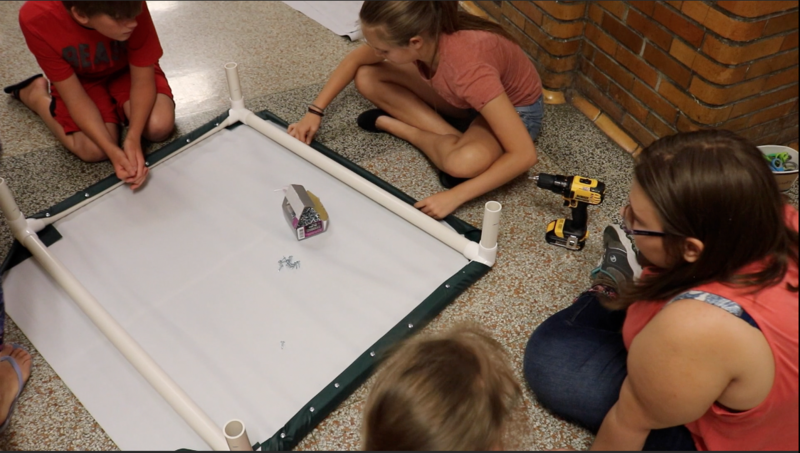 They found it to have been a journey of collaboration, thought, and care in order to construct something that will allow an organization to help others. 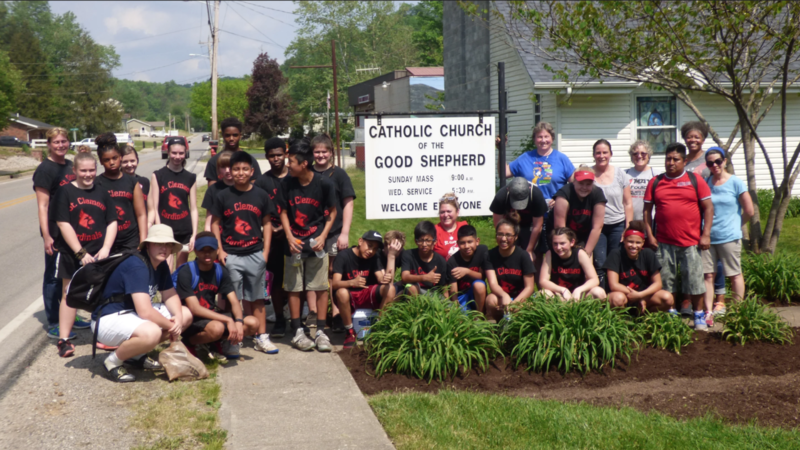 At St. Clement School, the 8th grade performed service for the Church of the Good Shepherd. Namely, physical labor to support the upkeep of the Church, the Mission Store, and the Food Pantry. 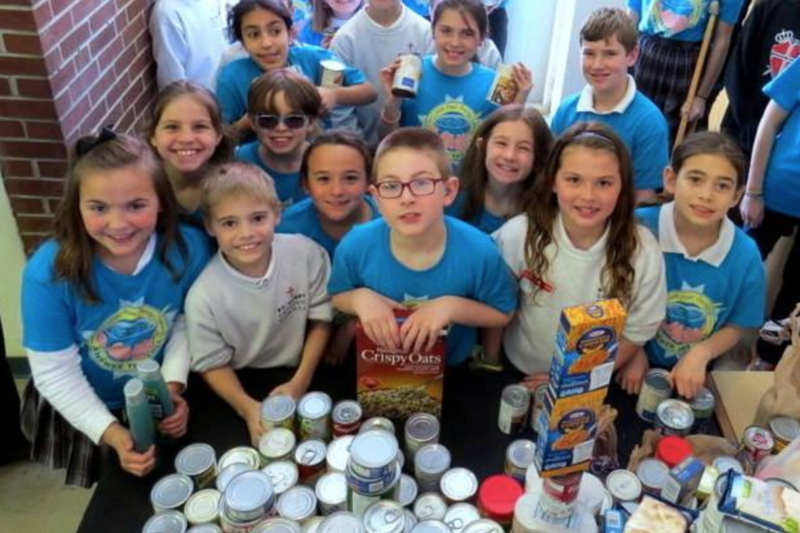 The Church of the Good Shepherd serves the community of Campton, which is located in the Appalachian mountain region, through outreach including a food pantry and mission store. The mission store sells clothing and household items at minimal cost, affording a way for the community to clothe their families and decorate their houses while maintaining a sense of worth and dignity in providing for their families. 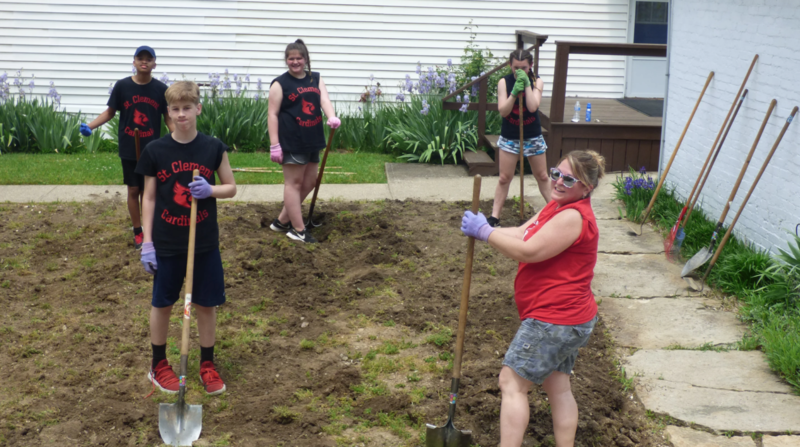 While the students were in Campton they completed a variety of tasks, which included: trimming rose plants back from the creek bed, moving rocks back into place along the creek bank, weeding and mulching a large portion of the gardens, tilling a large area for planting (by hand! ), creating a new area for gardening along the food pantry, organizing and separating shoes to be sent to Water Step ministry, organizing books to be distributed, alphabetizing a year’s worth of donation envelopes, organizing a bookshelf in the church common area, and cleaning up the area afterward! All of these tasks came after unloading not only the St. Clement truck of donations at the Mission Store, but also a “packed to the gills” van from a church in Indiana that arrived while we were there. Finally, they unloaded the food and diapers at the church Food Pantry on the Church grounds. In the classroom, the 8th graders learned about immigration patterns through their social studies textbook and the pamphlet, Cincinnati: A City of Immigrants. Each student chose an immigrant group to read about from the Cincinnati area. The students then wrote a summary of their groups’ “story” of coming to America. This included what talents, traditions, and cultural ideas they contributed to the area. As a class, they discussed the importance of treating immigrants with respect and dignity as all humans have the right to be treated justly and fairly. Discussion also included concern for the poor and underserved and how their service at the church helped those families with food, clothing, and other services. Cleaning up the grounds enabled the church to provide a comfortable and appealing place for those that attend church or use its services. Students learned that not everyone is as fortunate as they are, even those students who do not have a great deal of material or financial wealth in 8th grade. 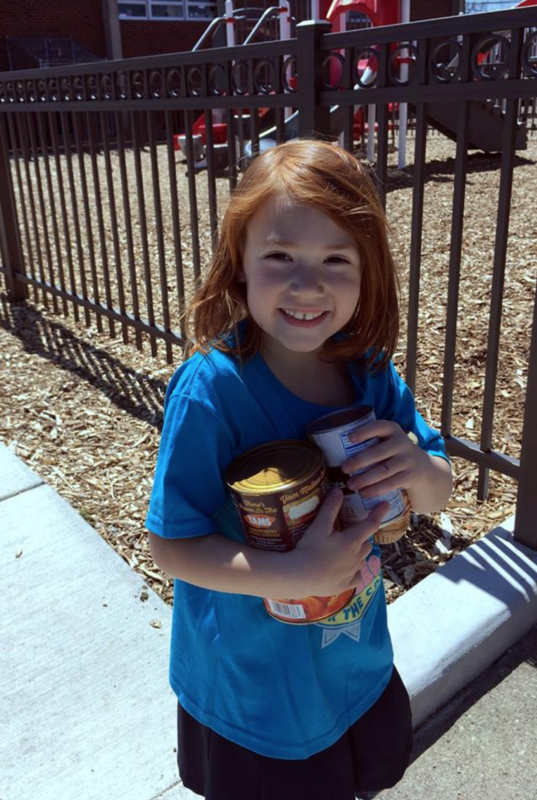 They learned that giving service helps others but it also helps one to discover themselves. The students impact on the church was astounding. In the short time they were there, the students and chaperones completed work that would take days or weeks for one person to do. All of their work benefits not only the people of Campton but other areas as well. 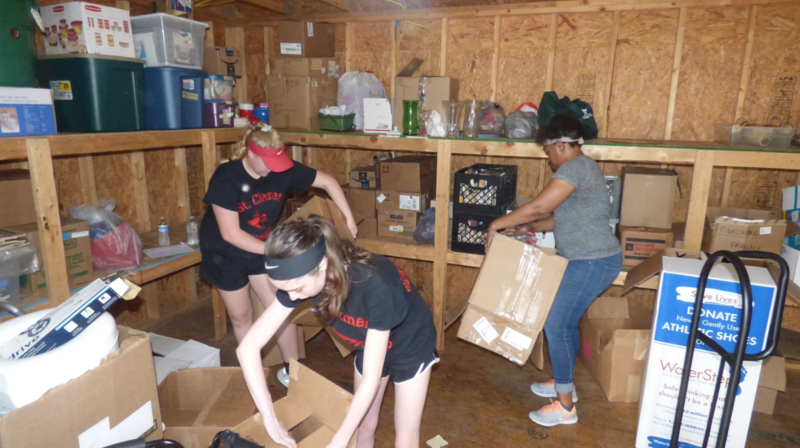 This service learning project was in conjunction with St. Clement Church and Sr. Susan Marie at the mission, therefore much of the trip was pre-designed. Students were assigned to their church tasks, however, they did discuss their tasks and were responsible with their chaperone to complete them. 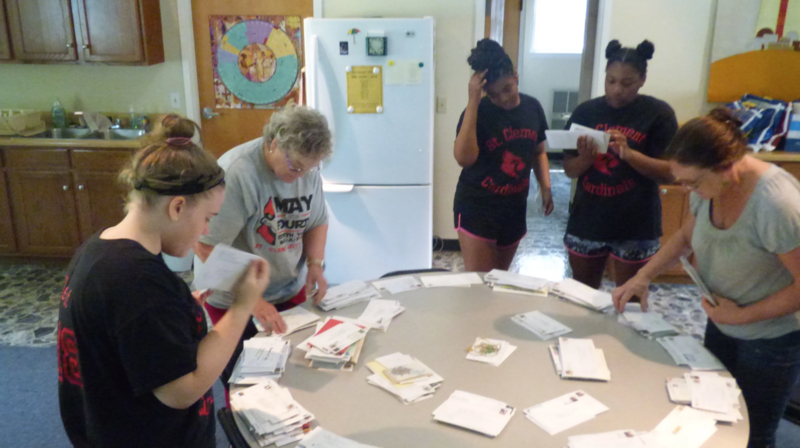 Students wrote a reflection about their experience and service at the Good Shepherd Church in Campton, KY, feel personally affected, and hope to expand the program in the future. After the 4th grade students at Florence Elementary read about how coral reefs were made and learning about the damage humans have done to our waterways, oceans, and reefs, they decided they wanted to focus on saving coral reef ecosystems and protect water resources that animals and humans depends on for survival. 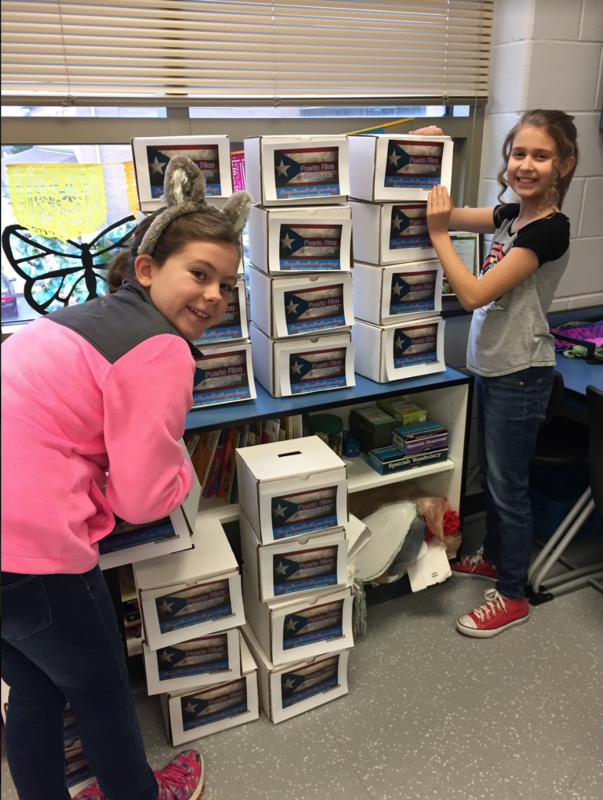 They named their project “Coral Reef Relief.” Students participated in a variety of activities to bring awareness for the need of preserving our waterways, water ecosystems, and coral reefs to Florence Elementary, local, and national communities. The students researched coral reefs and each student chose a specific coral reef animal or plant to present on or create a paper model of for an ocean mural. Because students wanted to help support conservation of reefs and oceans, they analyzed several organization that help with relief efforts. They chose Living Lands and Waters, a non-profit organization that focuses on caring for, and educating people about local waterways. They also chose The Nature Conservancy, whose scientists work with people around the world to protect water ecosystems. To help with the project, students and staff were asked to donate $1 for a ticket to a school movie pajama party. 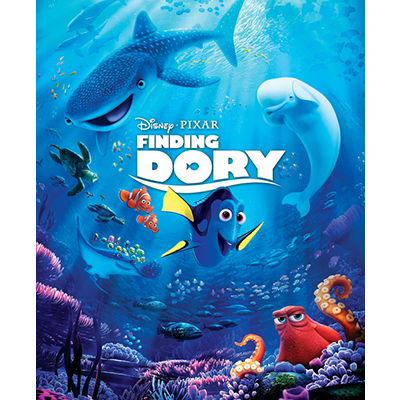 The students chose Finding Dory as the movie because of the ocean/ coral reef connection. In total, they raised $576 that was divided amongst the two charities. 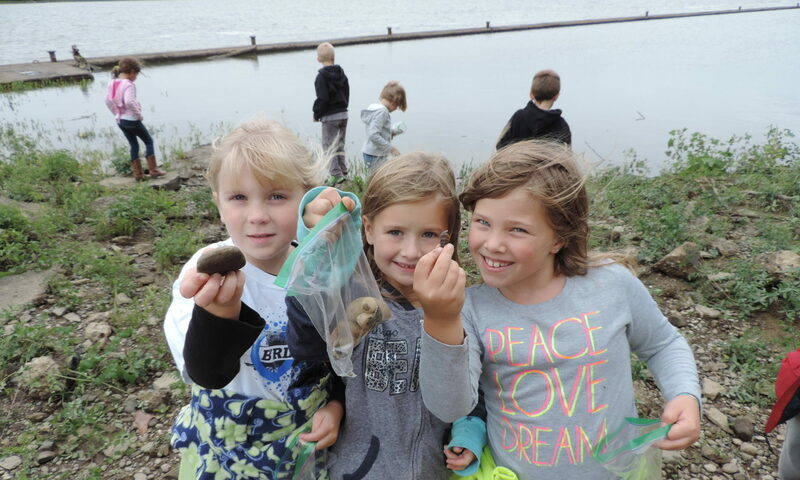 To make community connections and to get an expert testimony, a guest speaking from Living Lands and Waters is scheduled to visit. The students will be going to the Newport Aquarium to participate in a behind the scenes activity that focuses on how biologists care for marine animals and will allow students to see special exhibits on rivers and coral reefs. 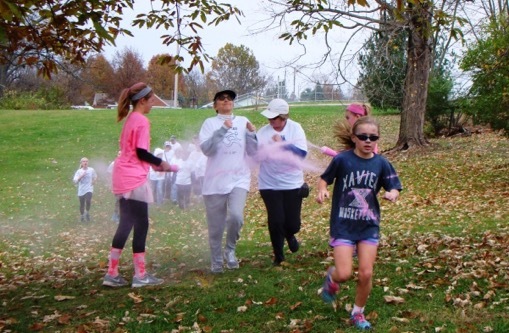 After attending a retreat to find out about the homeless and the agencies that help them in Northern Kentucky, the students of St. Joseph organized a Color Run to raise funds for those agencies. They raised $1500 in total. They also collected sample sized toiletries to donate, totaling 9 boxes in all. 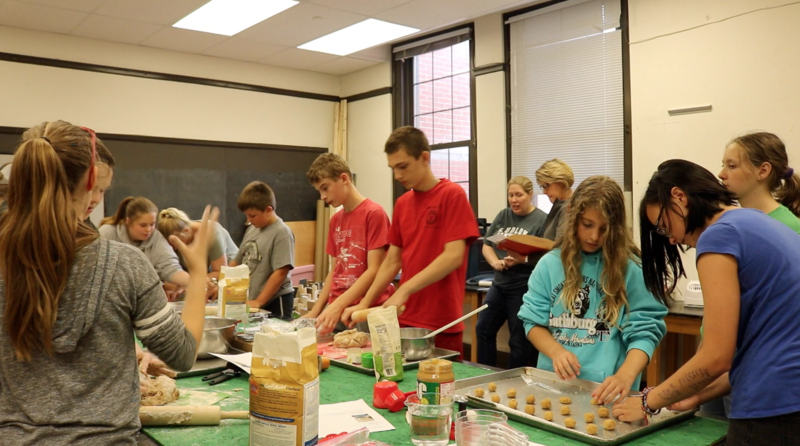 Forty-four students were able to engage the entire school in the service learning project. They worked with Welcome House, Parish Kitchen, and Emergency Drop In Center NKY. While on the retreat, students did small group activities about the causes of homelessness and how one can help the situation by meeting immediate needs but also by changing policy. This helped them decide to do the sample size toiletry drive involving the school and the color run involving the community. They printed fliers, made fact signs posted along the course about homelessness, created logo for t-shirts, invited other schools to run, contacted newspaper for advertising, filled bottles and “manned” the color stations, laid out the course and created a live band that 2 students and their Dads played during the run. Most of the students worked the event but a few did participate as well. All this work helped change the students’ opinions of homeless people and elicited a true feeling of compassion and wanting to help the less fortunate. They raised $2,000 and partnered with NKU LIFE (Latino Institute for Excellence), who matched their donation. In total, they sent $4,000 to Comité Pro-Desarrollo de Maunabo, a non-profit, community-based organization in southeastern Puerto Rico to help the Puerto Ricans and the nature preserve. The students at Woodfill Elementary School take Spanish class twice weekly. 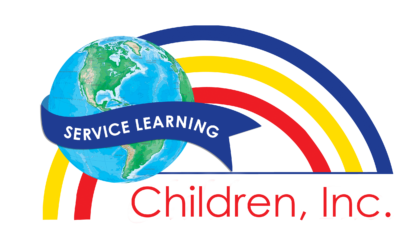 This service learning project inspired students to help others in their time of need, and develop compassion for others. 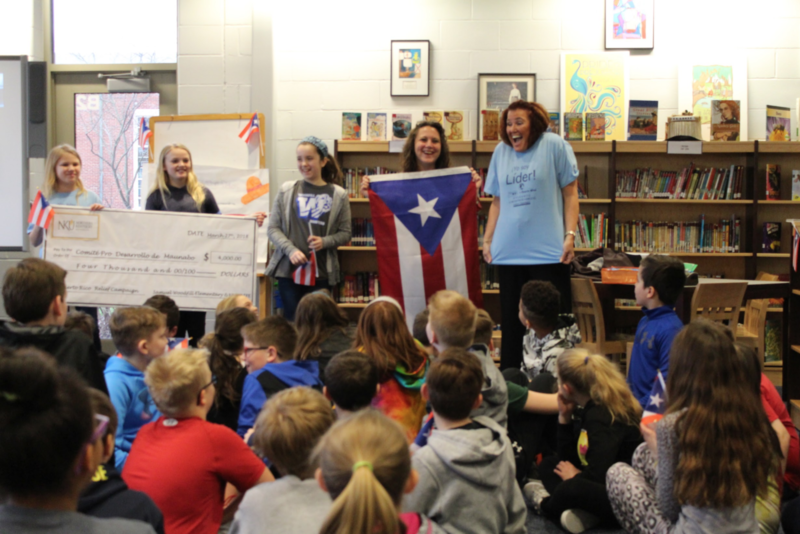 The students decided when the fundraiser would take place, how they would implement both a change competition as well as sales of T-Shirts in Spanish. The students promoted and managed it all. Students were divided into teams based on their interests. 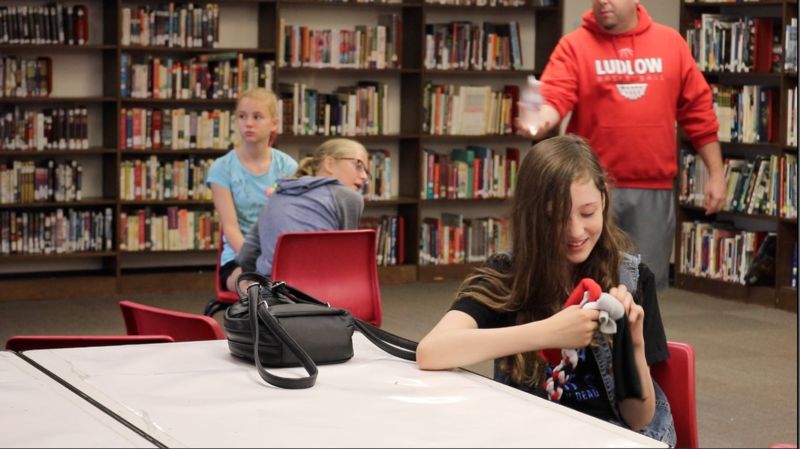 Several students designed a commercial to play for the whole school to inform them of the fundraiser. 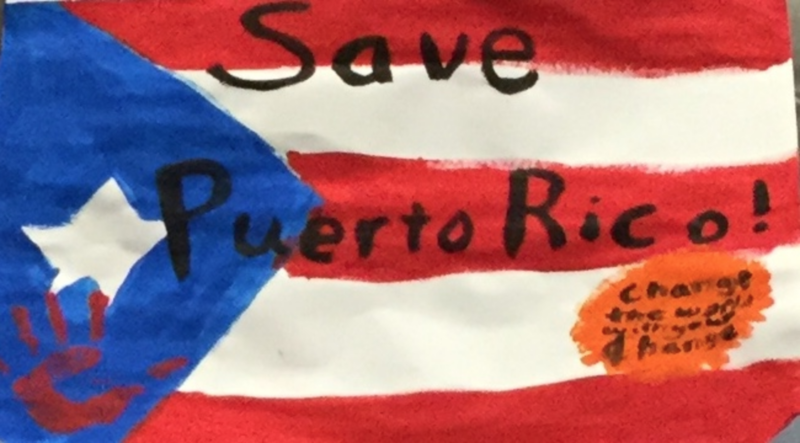 Students also stayed after school making information posters about the hurricane and Puerto Rican culture. All students participated in some way. The whole school was involved. The students of Woodfill Elementary really understood the devastating impact of the hurricane. They knew that their donations would go far in helping to have an environmental as well as cultural impact. The school wanted to make certain their donations would go somewhere much needed. Comité Pro-Desarrollo de Maunabo helps to preserve the environment with their annual march. They also service children and the physically impaired from their green house. 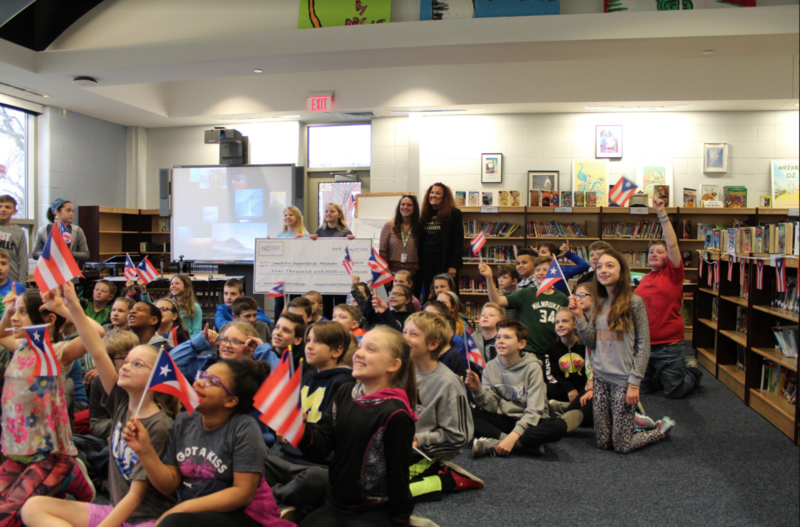 Woodfill Elementary School are confident that their impact will go a long way to help people who really need it in Puerto Rico. 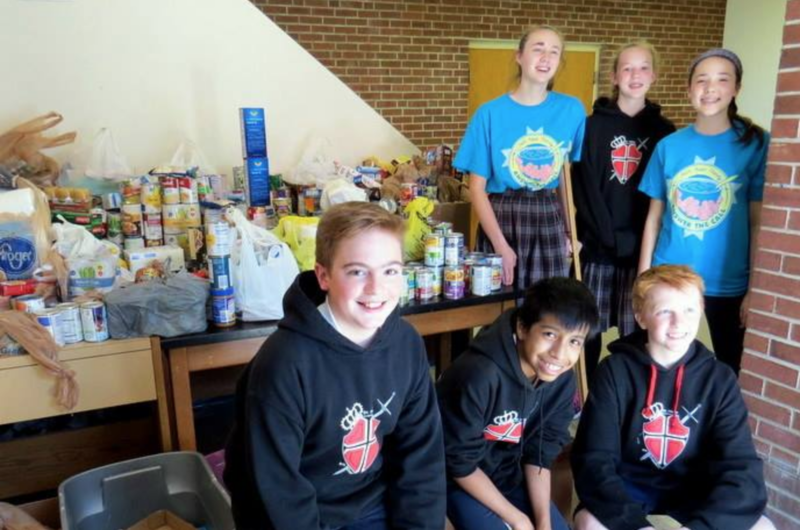 For the month of April, the entire school of St. Henry, from the Diocese of Covington, collected items for the newly reformed St. Vincent de Paul. The project was called Feeding God’s Children. 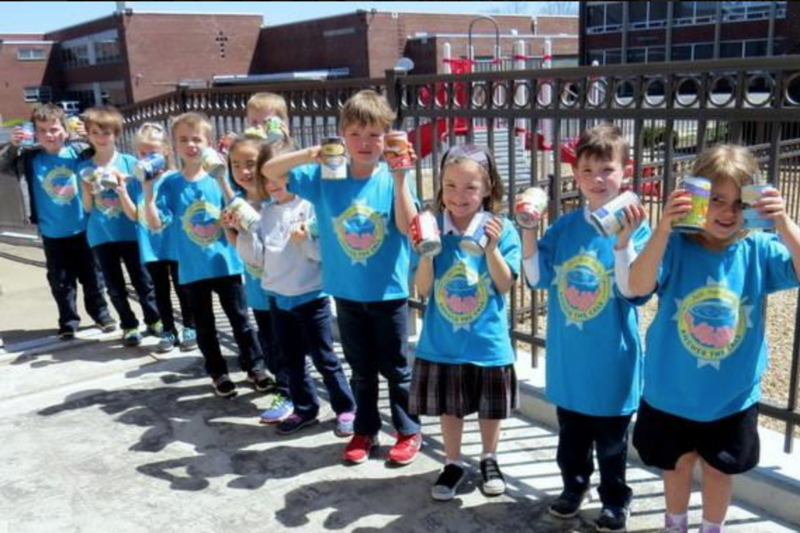 They were able to provide 1,200 non-perishable food items to the partner organization, supported by Catholic Order of Foresters– a Catholic life insurance company that help its members achieve financial security while supporting their Catholic community through fraternal outreach. Many of St. Henry’s alumni become members of the Catholic Order of Foresters. There are currently 400 members. 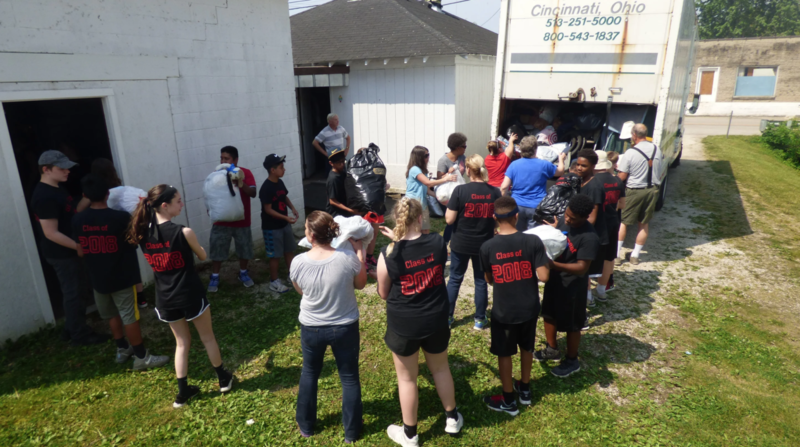 St. Henry works regularly with this organization to implement outreach programs throughout the Greater Cincinnati Area. 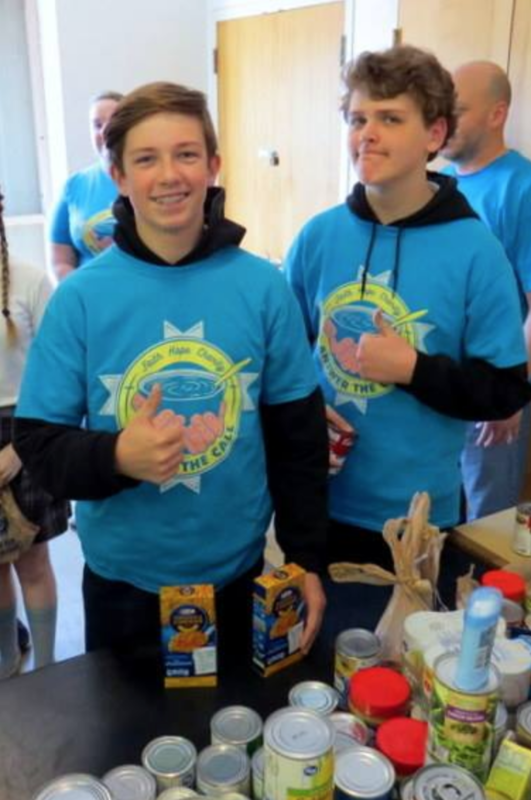 Students learned about the importance of charity throughout the year in Religion class and put their social skills to work by interaction with members of the public to consolidate food items for those in poverty. Students had open discussions during religion and theatre class about the importance of the project and the impact they are making on the local community. 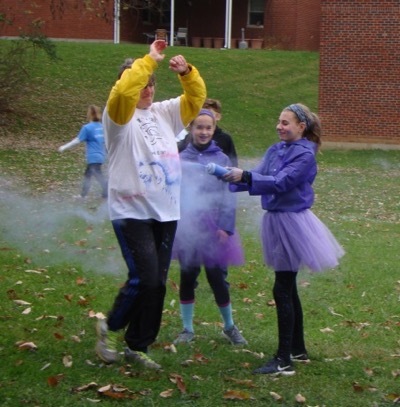 Through completing journal worksheets and creating short skits, the students were able to creatively think about and consider how else they can improve their mission of outreach.